Happy Marriages thanks to St Valentine Unhappy divorces no thanks, might be your hope in February 2017 if separating in Cheshire according to divorce solicitors at Stonehewer Moss in Northwich. Sadly, unhappy marriages are often beyond a prayer to St Valentine, who the Church designates as the patron saint of the happier state of wedlock. 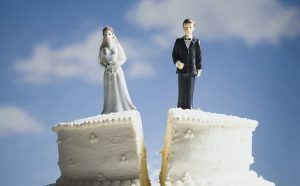 An unhappy marriage can become are bitter divorce if handled badly. If you are sure that your marriage is at an end, Stonehewer Moss recommend that you take a principled approach to the process of separation and possible divorce. Your spouse might want to “fight dirty” but a principled approach, with guidance from an accredited solicitor, gives you the best chance of walking away with your head high and, in most cases, your finances not eaten up by the dispute. Don`t let game playing into the negotiation yourself or by your spouse. Play it straight and take yourself out of negotiation and to the court if you are being subjected to mind games. Often it is others you trust or advises rather than you that will recognise this. Do not demonise your ex. Let that in your head and you could live with it for a long time with little in return. Keep the children out of the dispute as far a their welfare permits. Simple is often best. Allow a few months to see what your budget is like, taking the opportunity to see what can be afforded and what is needed. Do not try to obfuscate with spreadsheets. Avoid cost battles. They will cost more in the end. Reply/ keep communication open but if it is not happening, assume mind games are in play and take it to court. Budget for legal costs and seek a collaborative approach if you can. This article was added on Wednesday, February 1st, 2017 at 4:54 pm and is categorised under Cheshire divorce solicitor, Cheshire News, Chester News, collaborative law, Divorce, divorce finances, Family finances, Macclesfield News, northwich solicitors, Runcorn News, St Helens news, Warrington News, Widnes News, Winsford News. Both comments and pings are currently closed. Error: Error validating access token: Session has expired on Saturday, 09-Mar-19 13:12:58 PST. The current time is Thursday, 25-Apr-19 05:56:04 PDT.